Hennessey Venom F5 1,600 HP, 301 MPH Monster! 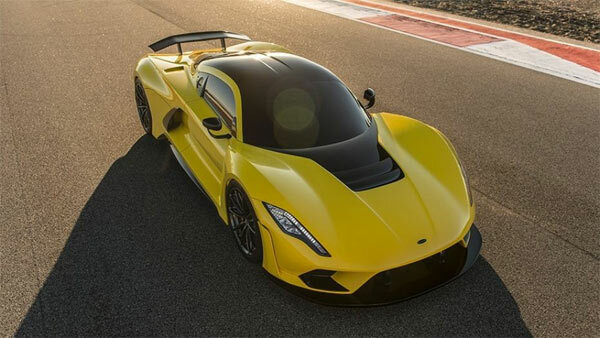 Hennessey have just released the latest version of their Venom hyper car, the Venom F5. The all-new machine is capable of a staggering top speed of 300 mph (482 km/h) features their most innovative design as yet. The company of work closely with Pennzoil to produce the final vehicle which has a new twin turbo V8 engine producing 1,600HP link to a seven speed, paddle shift transmission, weighing in at 2,950 lbs (1,338 kg). It’s not just power and performance here is pushing the envelope, also a full carbon interior with large touchscreen infotainment system and steering wheel with its own digital gauge cluster. The car is also capable of doing 0-249 mph (400 km/h) and back again in just under 30 seconds, which beats the Bugatti Chiron and the Koenigsegg Agera RS respectively. All this can be yours for a snip under $1.6 million. 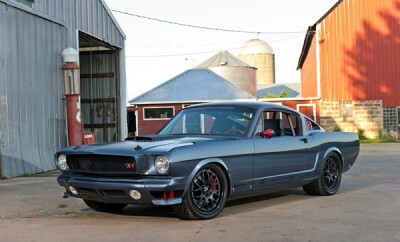 Pick Of The Day: 1966 Ford Mustang Ring Brothers Bailout, 600+ HP.